Anything from a traffic jam to a minor argument can send your body into stress mode. Varying degrees of stress affect us every day in a number of ways. Some stress is good — it can give you the adrenal boost you need to meet an upcoming deadline or give you the courage to speak in front of a large group. 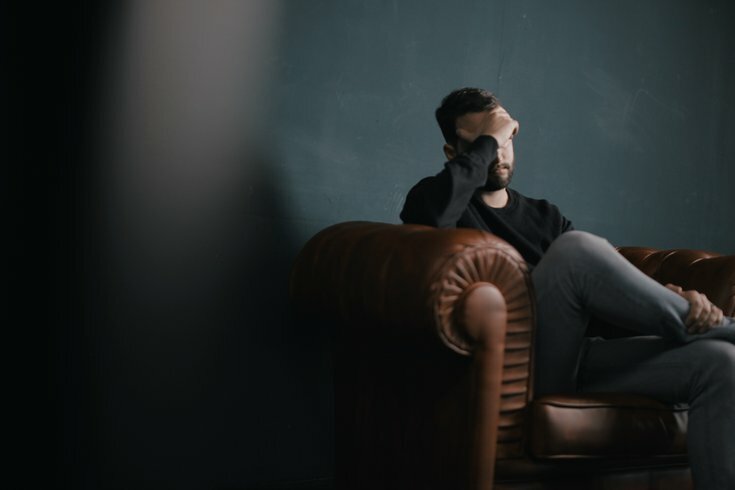 However, prolonged or chronic stress can impact your body, thoughts, feelings, and behavior in negative ways, causing a range of symptoms that hinder your system’s ability to function normally. When faced with a stressful situation, the brain releases stress hormones that cause the body to react. These hormones spark what is commonly known as your body’s “fight or flight” response. When presented with potential danger, the body’s sympathetic nervous system is thrust into overdrive. As a result, you may experience a sudden increase in heart rate, blood pressure, and breathing rate. While they may feel frightening in the moment, these symptoms are a sign that your body is responding to stimuli as it should, and are generally not a cause for concern. Chronic or recurring stress, however, can lead to more severe health complications over time. Headaches, muscle pain, fatigue, and stomach upset are all common physical consequences of prolonged stress. More severe symptoms, including chest pains and insomnia, can crop up as well. It is important to monitor these physical symptoms as they may be signs of a larger issue requiring medical attention. Stress not only impacts our physical health, it also takes a toll on our mental well-being. As we grow older, we take on more responsibilities — balancing a fast-paced career with a fulfilling home life can be taxing on your mental state. If you routinely experience stress at home or at work, you may notice changes in your mood. Anger, irritability, and general restlessness can all stem from stress-induced circumstances. Long-term effects include anxiety and nervousness, and even paranoia or depression. If left unchecked, these symptoms have the potential to negatively impact your personal mental state and ability to maintain relationships with others. In order to cope with the mental side effects of stress, some sufferers seek relief in substances like drugs or alcohol. Tobacco use is also common among people who need a stress release, as is over- or under-eating. These risky behaviors may mask stressful feelings in the moment, but they ultimately cause your system even more harm in the long run. Exercise is a great alternative to unhealthy coping mechanisms like smoking or drinking, as these habits can quickly devolve into a full-blown addiction. The best way to manage stress is to deal with it in the moment — many people feel that they can endure stress all day, and then recover later with a yoga class or trip to the gym. This binge-and-purge approach will likely backfire, as it does not allow for the mind to process and relieve stress as it arises. Practice breathing techniques to keep yourself present — this will also lower your heart rate and clear your mind. Pay attention to changes in your mood, and don’t hesitate to contact your doctor if the stress you experience begins to cause serious physical symptoms, like recurring chest pains or migraines. By observing your behavior, you can improve your response to stress over time, strengthening your body and your mind.